The band’s performance at the Hard Rock Hotel on Wednesday, their first of the year, saw the singer clamber into the crowd and drink from a beer while playing a guitar solo, then tumble from the stage as he tried to rejoin his bandmates. Thankfully, two security guards were nearby to pick the 49-year-old frontman back up and get him back onto the stage. 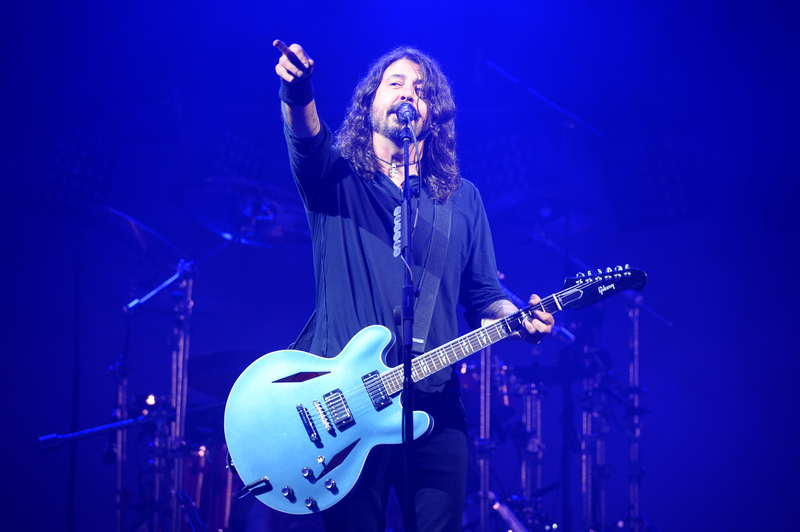 Matthew, the Californian Foo Fighters fan who caught the fall on camera, said: “There was a bar and bartenders just to the right of the stage, so about halfway into the show, the video shows Dave coming over and placing a drink order at the bar. This is not the first time Grohl, who turns 50 on Monday, has fallen during a live show. In 2015, a similar incident in Stockholm saw the former Nirvana drummer break his leg as he slipped from the stage. He finished the concert in Sweden, then played the rest of the tour in a throne made out of guitar parts. 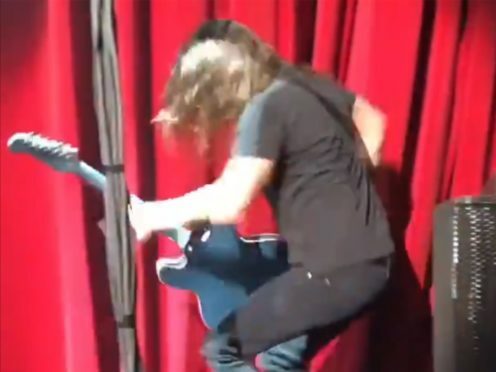 When the band returned to the country in 2018 Grohl pranked the crowd by having a look-alike pretend to fall off stage. Thankfully, this time, he seemed to emerge from the fall injury-free.